It has been a brutal end to the year for 2018. Finding stocks to buy that you can trust has been rough. And there’s not just one catalyst for the selling. Various fears from interest rates to slowing economic growth, concerns about the FAANG stocks and slumping oil prices have all played a role. Arguably, however, the central concern has been escalations in the so-called trade war between China and the United States. We’re starting to see the impact of the trade war in companies’ latest earnings reports. The bigger problem, though, is uncertainty. The longer this goes on, the more the market will doubt a positive resolution. This is causing a great deal of concern for the companies that are most exposed to China or international trade. That said, I’m still of the view that both sides will eventually come to a deal. It’s clear that Chinese President Xi Jinping and U.S. President Donald Trump are still talking to each other and trying to keep talks progressing. China is having a clear economic slowdown and appears to be seeing capital flight. Meanwhile, stateside, Donald Trump seems increasingly concerned about the rapid declines in the stock market. Game theory suggests both sides have incentives to make a deal. And when they do, these are seven ideal stocks to invest in. Chinese stocks are a natural casualty of the trade war. The KraneShares CSI China Internet ETF (NYSEARCA:KWEB) is down, incredibly, 40% since this summer. And keep in mind that it is an ETF, not just one stock. For its part, JD.com (NASDAQ:JD) has fared even worse, as it is down roughly 50%. How much of that is deserved, and how much is due to awful sentiment? To be clear, both Chinese stocks and JD in particular have some issues. JD.com’s CEO got caught in a personal conduct scandal that may or may not be problematic in coming months. And JD’s growth rate has slacked off this year in comparison with chief rival Alibaba (NYSE:BABA). Ultimately, though, China is the world’s second-largest economy, and one of the biggest ecommerce opportunities given the levels of tech usage there. There’s little reason to see why there has to be just one winner in that market. JD and Alibaba have fundamentally quite different business models. In any case, JD stock is now at a crazy valuation. Unless the business totally implodes, it’s hard to see how shareholders don’t make money from here. The market cap is down to $30 billion. That’s paired against sales of greater than $60 billion annually, meaning you can get it at under 0.5x price/sales. Peers like Alibaba and Amazon.com (NASDAQ:AMZN) never traded at such low multiples. In fact, AMZN stock routinely traded for three times that multiple even before its cloud business took off. Once the trade war ends, JD stock could recover in a hurry. Remember, once a stock goes down 50%, merely returning to its prior price results in a 100% gain. Ctrip (NASDAQ:CTRP) is another of the Chinese internet stocks getting absolutely crushed this year. Its shares, like JD.com, are down 50% from recent highs. It makes sense from a sentiment standpoint; if the Chinese economy is going to slow down greatly, consumer travel demand would fall as well. But if you’re confident that there will be a trade deal, CTRP stock seems like a clear winner. The company dominates the Chinese online travel agent space with its namesake and other properties such as Qunar. Investors fear competition from upstarts such as Meituan Dianping, which recently IPOed in Hong Kong. However, Meituan showed huge losses in its filing documents. Ultimately, they can only get so far undercutting Ctrip on prices, as Ctrip has a far healthier balance sheet and profit margins. Unlike the competition, Ctrip is strongly profitable with a trailing P/E ratio in the 40s and a forward P/E of just 23. The stock hit a big bump after its last earnings report, but the numbers were hardly terrible. The company beat on both revenues and EPS while coming up just short of consensus guidance going forward. Regardless, management still sees near 20% revenue growth going forward. Hardly terrible despite the economic uncertainty. Citibank’s Alicia Yap cut her price target from $41 to $35 and cut the stock to neutral. That’d still be a fine trade from today’s $27 price, as the Chinese stocks are so oversold that stocks would have to bounce sharply to get back to where even neutral analysts think they should be trading. That makes many of them great stocks to buy once the trade war eases. Walmart (NYSE:WMT) is another clear way to play the resolution of the trade war. And really, you could lump a lot of retailers here with the same idea. However, Walmart’s low-cost supply chain is especially reliant on goods sourced from overseas. That makes it vulnerable to any long-running tariff battle. Presumably Walmart would need to raise prices to offset the higher tariffs. This is a bigger problem for Walmart than others, as Walmart has low prices as its core brand identity. Its customers care much more about pricing than their peers at higher-end stores. It’s also worth remembering that Walmart has been making aggressive moves into ecommerce. It’s the second-largest ecommerce operator (including its Jet division) in the United States. And importantly for trade war implications, it’s a big investor and backer in JD.com. 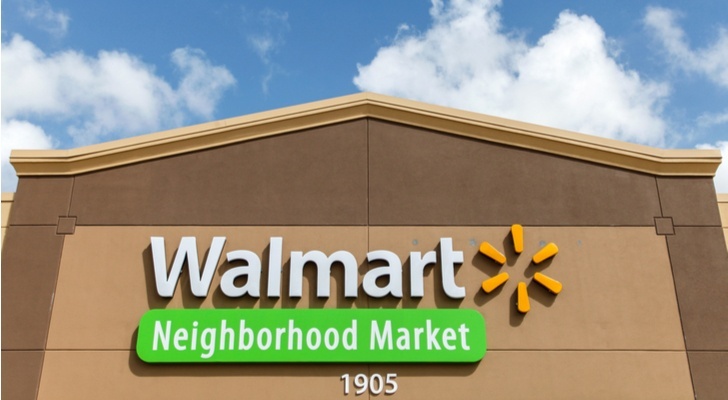 Between a well-stocked supply chain and improvements in its outlook for international holdings, Walmart stands to be a big winner from the upcoming trade deal. Despite a great earnings report last time around, WMT stock has dipped from $105 to $90 over the past six weeks. In other words, as a conglomerate that sells basic industrial solutions, it is highly tied to the global economy. The longer China struggles, the more demand will drop for ITW’s huge range of products. Demand for things such as oil rigs and automobiles looks to be in trouble as long as global growth concerns weigh on consumers. But fixing the trade war should clear this up. ITW stock has dropped from $170 this spring to $127 now. That puts it at just under 16x forward earnings for one of the high quality major American blue-chip industrial concerns. ITW is also an impressive play for dividend growth investors. ITW stock is now yielding 3.1%, its highest level since 2011. And the company has raised the dividend every year since 1964. Stability, reliability, decent valuation and a strong growth kicker once the trade war blows over. The banking sector has been among the worst since the correction started in October. 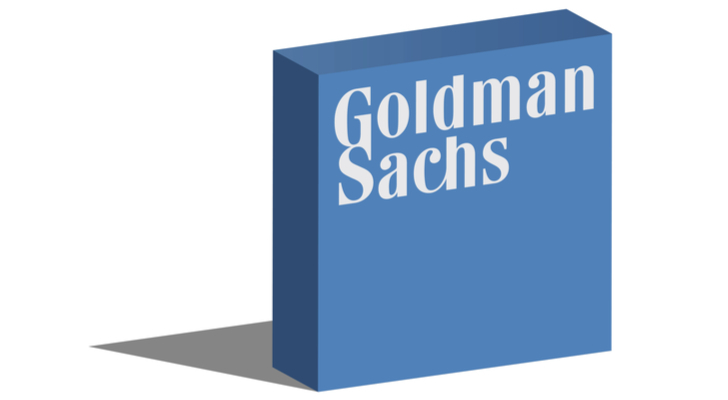 And Goldman Sachs (NYSE:GS) has been one of the stocks at the center of the fray. Over the past two months, shares have plunged from $225 to under $175 today. That significantly outpaces losses for the broader financial sector, which clock in at 15% during this correction. Goldman is facing one particular problem. That is its business dealings with 1MDB, a scandal-ridden Malaysia state investment fund. GS claims innocence, while Malaysia alleges bad faith on Goldman’s part. In any case, banking scandals tend to occur frequently and usually don’t leave much of a lasting mark. In this case, Goldman’s involvement does not appear to have been enough to endanger more than a quarter or two of earnings at the worst. And what earnings Goldman is having. Goldman is earning more than $25 per share annually, putting its P/E ratio at 6.5x. Analysts expect earnings to rise slightly next year. The company is earning gobs of money and can pay dividends and buy back its extremely cheap stock. 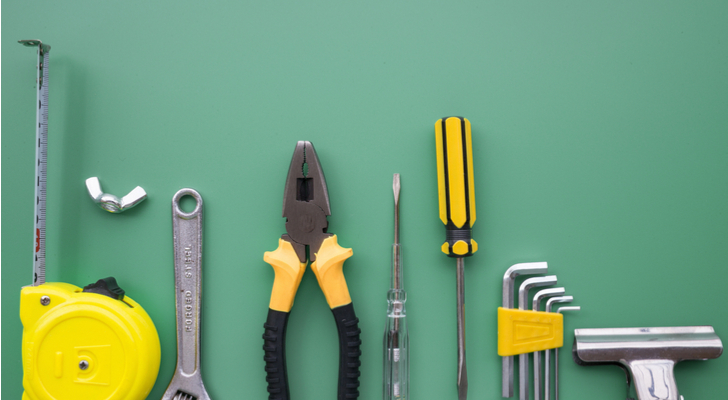 Additionally, once the trade war winds down, there should be renewed deal flow for its investment banking business along with clear sailing for the company’s growing asset management operation. Don’t sleep on GS stock here. This is an unbelievable entry point for one of America’s strongest financial institutions. 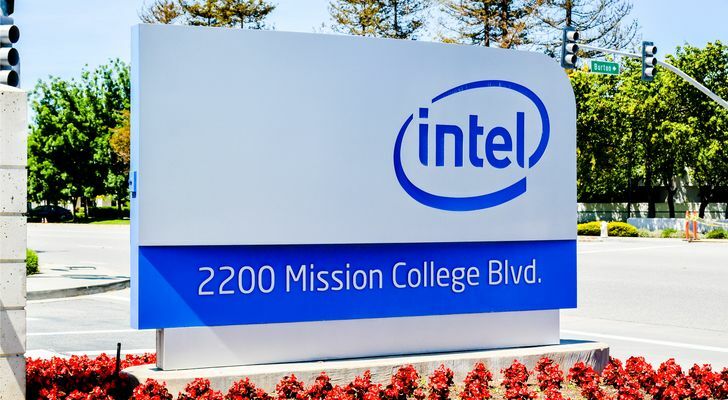 Interestingly, Intel (NASDAQ:INTC) stock has been hit less than others on this list. Shares are only down about 18% off their 52-week highs. However, there’s still a good opportunity in Intel, as shares could spike back to all-time highs and top $60 once the trade war ends. What’s the trade war angle? Simply put, Intel gets just about 24% of its sales from the U.S. A Goldman Sachs’ analysts called it a clear potential loser in the trade war this fall. Asia in general and China in particular are huge revenue sources for Intel. As long as these trading patterns are endangered, Intel finds itself at the mercy of political winds. Once the trade war ends, that big risk for Intel will go away. Intel may not be the most exciting tech stock out there. But it is one of the cheapest. Intel is selling for less than 15x trailing and around 10x forward earnings while paying a more than 2.6% dividend yield. The company’s core PC chip business continues to throw off mountains of cash, and should do so for years to come. On top of that, Intel has a bunch of interesting high-growth plays in place. The most promising of these, its work with autonomous vehicles, could be the thing that leads INTC stock back to a healthier valuation and to new highs for its stock price. For now, Intel is a buy ahead of the bounce that should come once we get a new deal with China. This last one is an ETF, not a stock. In any case, small-cap stocks, as measured by the iShares Russell 2000 ETF (NYSEARCA:IWM) look like a solid play for once the trade war ends. Previously, investors had bid up the small-cap stocks well ahead of the broader market. There is a fundamental cause for this. Small-caps tend to have less exposure to international markets. Thus investors bought them as a bullish-on-America play based on Trump’s economic agenda. As it turns out, however, a lot of the companies in the small-caps have still been affected by tariffs and the sliding global economic outlook. The small-cap trade has been unwinding over the past quarter. The IWM ETF is now down more than 20% from recent highs, putting it into a technical bear market, while other indexes such as the S&P 500 and Nasdaq have avoided this fate so far. There should be a rush back into small-cap stocks once a trade deal is announced as it will lift sentiment and eliminate the dark cloud that has been hurting earnings. Additionally, over time, small-caps tend to outperform the market pretty aggressively. It’s always worth a look tfor stocks to buy when the sector falls much faster than the market as a whole. At the time of this writing, Ian Bezek owned JD, ITW, INTC, and GS stock. You can reach him on Twitter at @irbezek. 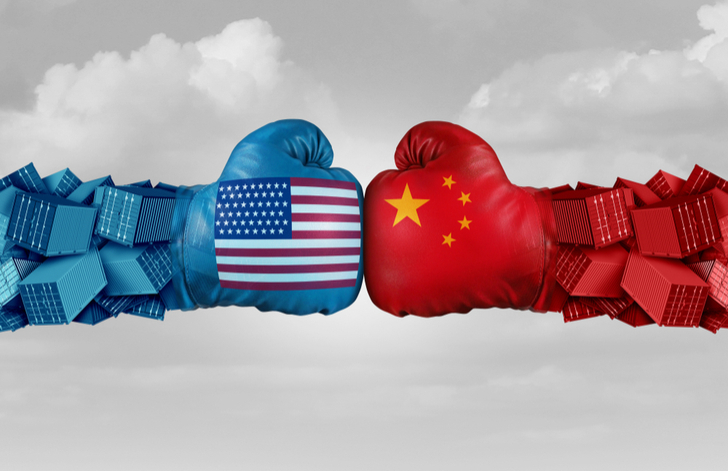 Article printed from InvestorPlace Media, https://investorplace.com/2018/12/7-trade-war-losers-set-to-become-big-2019-winners/.